Saiyo Ishida,a new konichi to the leaft village,was running to the ramen shop to get something to eat from the shop she saw on the way to her new home.She had just moved there the day before and finished unpacking and set her room to suit her likings.The night before she wantted to go to the ramen shop to eat dinner but it was to late so they just order in something to eat.Today she was determined to go there,she hadnt had ramen in months.As she was making her way to the small stand she spotted to figures and smiled to her self hoping to make some new friends.From what she could tell there were two boys eating.The 1st with spiked golden hair and wearing an orange jumpsuit.The second had long raven hair that reached his shoulders and had on a cap covering his face as he looked down at his meal slowly eating.He was wearing what looked like an extra large black t-shirt and a pair of blue shorts that reached his knee even though he was sitting down.He had some beat up converse shoes,they were the old style ones with high tops and the star on the side.She then walked in and sat next to the blond since the one with raven hair didnt seem to be in the mood to talk.She then ordered and started up a conversation with him. Saiyo:"Hi im Saiyo Ishda,i just moved here"she said smiling warmly at the blond. 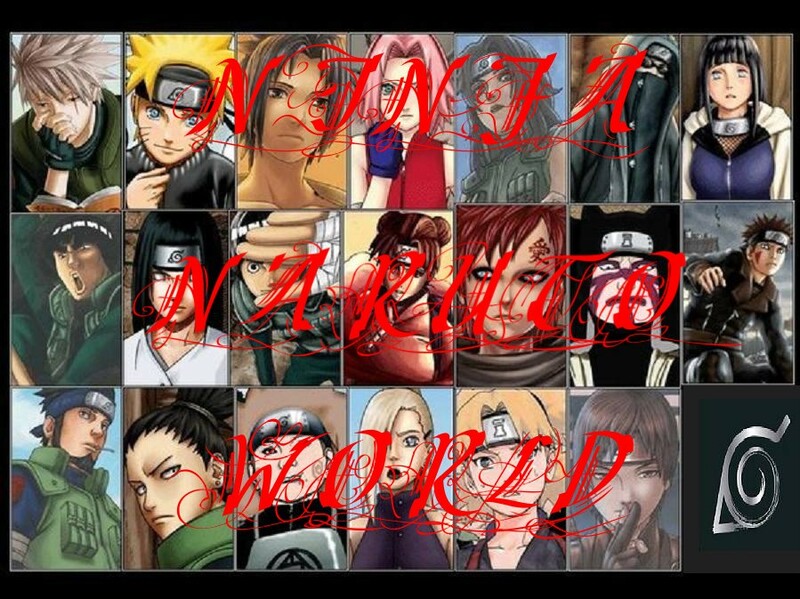 Blond:"Hi im Naruto Uzamaki and im going to be the next hokage!!! "he proclaimed punching the air above his head and smiling back. Saiyo:"Hi im Saiyo Ishda im sure u heard me the first time but im new around here"
Boy:"Hey Sam,lets go its time to get ready,your school opens today"
Naruto:"That was Sam mogami and his older brother Torrie.They moved here a few months ago.Torrie is pretty friendly but Sam doesnt really get along with anyone.He doesnt have any friends cause he doesnt talk to anyone.In fact no one is even sure if Sam is a boy or girl cause no one has heard his voice"
Saiyo started eating slolwly and became sad for Sam wen she found out he had no friends and decided to try to befriend him and hopefuly change him to be more open with others.At the thought of that her mind wandered back to Torrie and begain to think of why he was friendly and yet Sam rejected and ignored every1 that tried to comunicate with him.She finished eatting,said goodbye to naruto and went home to get ready for shcool. When she got home she put on the way to short school uniform. It was an all girls school,something she wasnt exactly happy about but could live with for the time being.When she arrived at the school she saw a sea of girls,and a sea of boys staring.She spotted Naruto standing beside a girl with short pink hair.They seemed to be friends. So she decided to go talk to him. 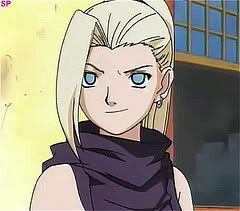 Naruto:"HI Saiyo,this is Sakura-chan,sakura this is Saiyo"
Sakura:"Ino this is Saiyo,Saiyo, this is Ino"
As Ino was started 2 say hello someone that no one expected to go showed up.It was Torrie and beside him stood a bored looking girl.She seemed a little pissed about something. Saiyo couldnt help but stare at him a little,which,Ino noticed. 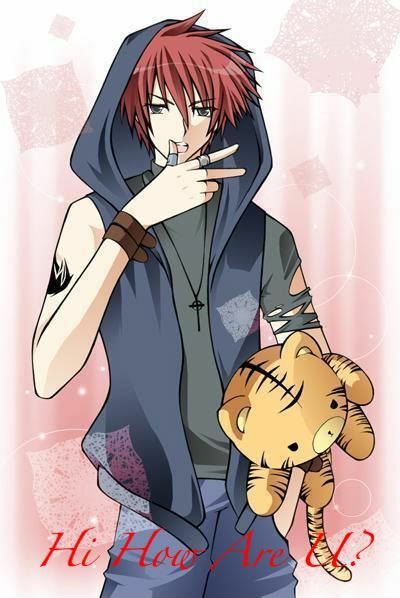 Saiyo:"I dont even no him!!!" Torrie notice saiyos staring and smiled 2 her causeing her blush which made Ino even mader.Torrie turned to the girl next to him and started talking to her as if he knew her well,then he walked over 2 Saiyo,the girl following close behind him.Every one was surprised to see Torrie there.He wasnt the type of guy to show up there to stare at all the girls.And they were even more shocked that the girl no one had seen before was following so close behind him.Ino smiled blushing about him walking over towords her. 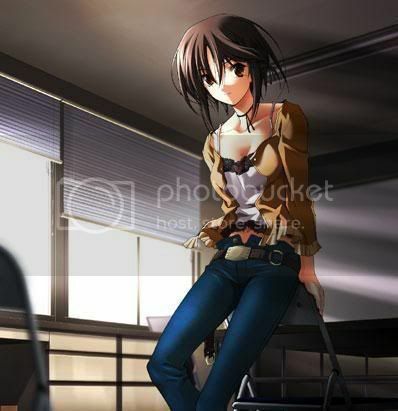 Torrie:"Im sorry miss,I didnt get a chance to introduce myself to you this morning..Im Torrie Mogami"He smiled to her warmly and her began to heat up even more and she stumbbled over her words to him.The girls were staring at Torrie as the boys were staring at Saiyo and the girl clinging to Torries shirt. Torrie smiled to her and the bell rang.The girls headed inside and the boys left.The girl that was with Torrie went to the farest seat there was.Saiyo got in a little after and the only seats left wer by the girl.So she took a seat and waitted for role call. Iruka Sensei:"And finaly the newest student we had 2 sign up,Samantha Mogami"
Sam just raised here hand and everyone looked back shocked to hear that she was a girl.Even Saiyo was little startled by the discovery.Although Saiyo was the newset person in the village Sam was the last one to get signed for the school. Iruka Sensei:"Ok everyone for the next few days were going to go over the rules,consiquenses,and what we will be doing for the next few weeks"
Finally lunch came around.Sam left the classroom and outside at the gate stood Torrie with a bento for her.Saiyo went down to talk to Sam and try to get to know her but,just like before,Ino tried to start something with her.All the boys were out for there lunch period and decided to go with Torrie to find out who the new girl was,even Sasuke Uchiha was courios about what got everyone wound up. Torrie:"Hey I brought you your lunch"
Sam just nodded and took the bento,it was strange for a girl to have such a plain bento but the boys didnt seem to mind. 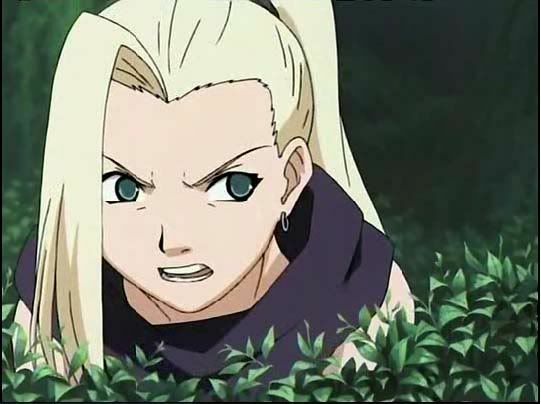 Ino:"Were do you think your going!?!?!" 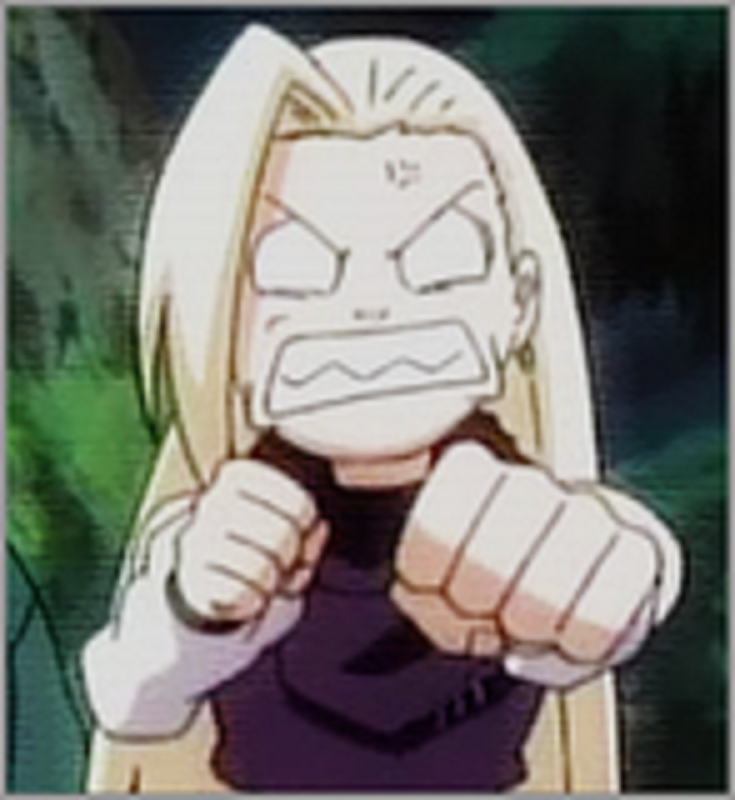 Torrie:"Hey Saiyo.Ino dont go starting problems for her.No matter what you say Im NOT your boyfriend"
Ino:"Ohhhhh dont be like that Torrie-kun!!" Sam just looked at him and contiued to eat.Sasuke attempted to talk to her and Sakura saw and ran over to the tree and started yelling at Sam.Sam just looked down at her and flipped her bento over covering Sakura's head in rice,vegetables,and dried fruit. Sam simply smirked as Sakura continued to yell at her. Torrie:"I told you dont called me that Ino..I gotta go,my lunch is about over.."He turned and walked away,jumped the fence and the boys followed. Ino:"STAY AWAY FROM TORRIE HES MINE!!!!!!!!! Saiyo:"HE DOESNT EVEN LIKE YOU!!!!!!" Sakura:"STOP SMIRKING U DEMONONIC WHORE!!!!!!!" Sam glared at her,jumped down and punched Skura right in the gut,causing her 2 duffle over. She punched her hard in the face leaving a print.Unfortunatly for them both,the principal just happened to be walking by and saw nothing but the punchs. Prinipal:"BOTH OF YOU,MY OFFICE RIGHT NOW!!!! "He shouted pointting at Sam and Saiyo.They both followed him to his office to await there punishment. Principal:"I will not allow this in my school,you are both SUSPENED!!!" Principal:""You will both be staying in the front office until the end of school,come back next week"
Sam:"Can she come over and spend the night until we go back to school?" Sam:"Ask ur parents and come by our house if u can.."
Saiyo rang the bell and Sam opened it and helped Saiyo bring in her bags.Saiyo smiled and looked around expecting to see Sams parents but saw no one but Sam. Saiyo:"Hey Sam are your parents still working??" Sam stoped causing Saiyo to bump into her,and Sam turned around with a big fake smile that Saiyo saw through easily. Sam:"Oh,no there not working late,there dead.They died when i was 8 cause of me"
Sam:"Ok this is my room"
Sam:"You can put on what you want"
Saiyo nodded and put on Bleach. Sam:"What do you want to eat?Its Torries turn 2 cook"
Torrie:*opend the door to Sams room with out a shirt on and eyes cloesd*"hey Sam whens Saiyo coming over?" Torrie:"oh,I didnt know you were here already..so what do you 2 want for dinner??" Sam:"Yes,you do I can tell..why dont you tell him,he likes you to"
Saiyo:"I cant date my best friends brother"
Sam:"Its ok,I want you to"
Sam:"Ill tell brother you like him"
Torrie woke up and went out to the pattio and started to work out like every morning.Sam got up and started to make breakfast as Saiyo slept in. Torrie called out to Sam we he saw her walk by. Sam:"No,why you wantted to ask her out?" Sam:"Right on the mark...why not ask her out then?" Torrie:"Im two years older then her,she wont like me"
Sam served the breakfast and after her and Saiyo went out to wak around.Torrie went to train.Later a man came and started to annoy them.Torrie walked by after and saw him and got in front of Sam and Saiyo. Sam:"Brother works out 3 times a day sometimes more"
Torrie:"Ok then lets go out to the ramen shop"
Sam:"I'd love to go but i kinda gotta do something..so you to have fun!!" Torrie:"Ummmm..ok?Well we can still go then"